Welcome to one of the best Kebab House in Epsom. Delivering delicious burgers to suits all tastes. We are pleased to be one of the best Kebab House in Espom with tasty and fresh food, polite and friendly staff, and great value for money. We highly recommend our burger takeaway and know you will enjoy every taste. You can order securely online and pay by cash, card or PayPal simply by clicking here. 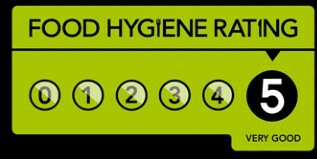 At Istanbul Kebab we are pleased to have a 5 Star food hygiene rating. Have a look at our menu where you can order online securely.